What follows is the written text of remarks given by Lord Anthony Giddens in the British House of Lords on July 5. It has been slightly edited for clarity. 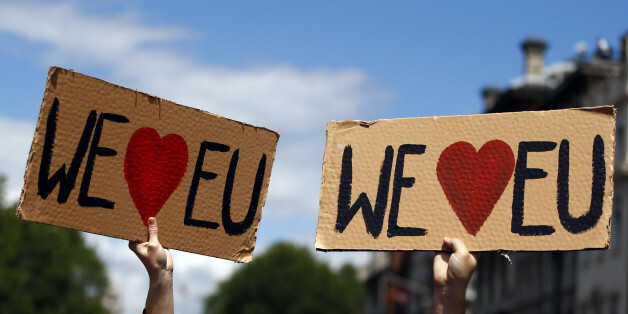 LONDON -- The European Union referendum has been held, and the voice of the people must be respected. Whoever emerges as the next prime minister is obligated to open negotiations to explore what kind of future arrangement can be made with the rest of the union. She or he must recognize that those negotiations will not be with that pretend bogeyman Brussels, but above all with the other 27 member states, whose reactions are likely to be distinctly mixed. An amicable divorce is unlikely, and fundamental problems loom. We see their early impact in the chaos that has invaded British politics. The unhappy provenance of the Brexit referendum explains a good deal of why this has happened. The prime minister's Bloomberg speech, in which he stated his commitment to hold a referendum, was not driven by mass public concern about the EU but by the need to quell squabbles within his party in the run-up to the election. He was trying to protect his leadership and hold his party together. Hence the somewhat ridiculous situation in which he announced the referendum -- and then spent all of his time arguing how crucial it is that the United Kingdom stays in. An amicable divorce is unlikely, and fundamental problems loom. A decision of this significance should have emanated from widespread public concern rather than from internal party squabbles. Fundamental problems of legitimacy have emerged as a consequence, and they will prove toxic if they are not directly confronted at some point. Voters cannot be involved only at the beginning, or so I shall argue. Because of its origins in internal party disputes, the referendum has not quieted divisions in this country but on the contrary -- as we all know -- has served to heighten them and even to create tensions where few or none previously existed. The antagonisms between north and south in England, between the prosperous and the deprived, between the nations within the U.K., between the generations and between the "establishment" and the people -- have become all too visible and have been much commented upon. Those who advocated leaving the EU, and who won the day, have been quite unable to agree what "leave" actually means -- and their differences are quite profound. They were not resolved during the campaign but simply fudged. This is why the campaign flirted so dangerously with the truth, with its leading lights retracting some of their main promises the day after the referendum was won. 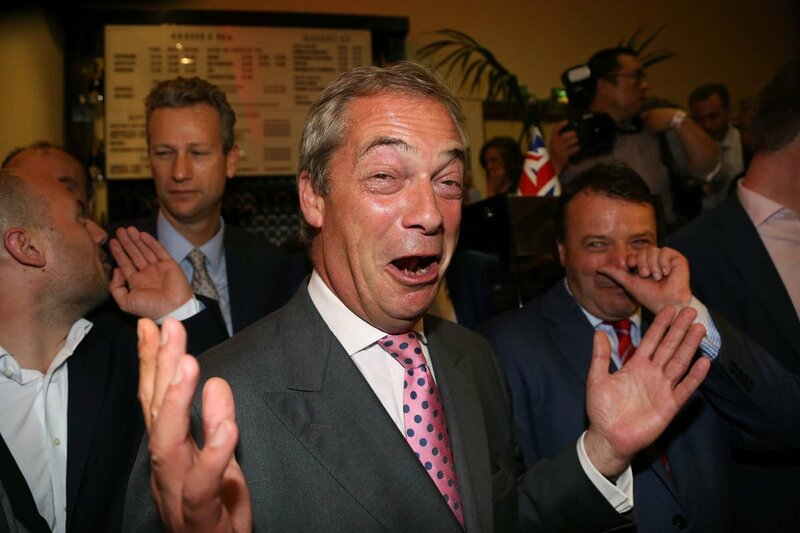 On the one side are the radical free marketeers, who think that exiting the EU will free Britain to trade around the world, and who are willing to abandon the single market altogether. They care little for tradition or for the past and for the most part are intuitively pro-migration. On the other are those who have nostalgia for evaporating customs and ways of life, who want to close the borders and retrieve lost sovereignty. They are hostile to big business and claim to stand up for the common people. There is no coherent plan for what comes next. These yawning ideological differences explain why there is no coherent plan for what comes next. They also account for the descent of the "Leave" campaign into empty populism -- epitomized by Boris Johnson's absurd remark that in the negotiations with the rest of the EU, he wanted to have his cake and eat it. Well, I suppose it makes it easy on the digestion. The British people can only make a proper judgment when there is a plausible plan on the table, a firm outline of which has been accepted by the other 27 states in the EU. The core dilemma involved is well known, but could quite possibly prove intractable. Not far off half of British exports go to the rest of the EU. Most are services rather than goods. "Passporting" -- the absence of regulatory barriers for business firms -- is the key to this success in the case of services. However, something analogous also applies to manufacture, where common regulations for production and packaging allow for a level of economic integration and cooperation that otherwise would not be possible. As Professor Michael Dougan, of Liverpool University, has pointed out, the main issue is not the presence or absence of tariffs, but a different level of collaboration. In his words, "nothing else on the planet compares to it." Exiting the single market even in the medium term would be hugely problematic. Yet staying in almost certainly means accepting freedom of movement. If there is a way out of this dilemma, no one has discovered it yet. Other states with some sort of associate status, such as Norway and Switzerland, have had to accept quite unsatisfactory compromises -- and both have far higher levels of immigration per head of population than the U.K. To reiterate, we are talking of 27 states here, some of which will fiercely resist any compromise that is mooted. Because there is no agreed upon plan or strategy, the government -- in whatever form it re-emerges in September -- would be very foolish to implement Article 50 in the near future, even if one or two of the candidates for the job of prime minister will inevitably promise to do so. The other EU states, on the other hand, will not negotiate before this happens. It is a second fundamental dilemma. The bargaining hand of the U.K. is not strong, especially if the economy starts to founder or go into outright recession, as investors delay investment or move their money elsewhere. A cartoon popular around the world shows a man in a bowler hat jumping out of a plane, brandishing a Union Jack -- but without a parachute. Precisely because there is no plan, there simply must be some sort of renewed and extensive public engagement if and when a deal is agreed with the rest of the EU. One possibility would be to hold a second referendum once we know what "leave" actually means. Voters can decide on the basis of what is actually on offer. The pressure to do so might become irresistible. The other way forward, and perhaps the more likely, is to hold a general election. Despite their obvious pitfalls, without one or other of these, the havoc that has already ensued might be small beer indeed compared to what lies ahead. Former Director, London School of Economics; Member, House of Lords, U.K.